Struggling with your Credit Score? Things might just get a little easier for you in 2019. Learn more below. When it comes to buying real estate in Saint Bethlehem, TN there are a few major factors that will come in to play. You need to figure out which home you want. Ask yourself, is this the property of your dreams? Is this the neighborhood you have always imagined yourself living in? Are you close enough to work? If you’re a first time buyer, you may be struggling to find the perfect property and home. It is key to know just what questions you should be asking. This is why we highly recommend that you enlist the help of a local Clarksville, Tennessee realtor. The team here at Huneycutt Realtors are happy to help you on your journey towards homeownership. Our buyer agents can provide you with all of the expert advice and local insight needed to be successful as you dive in to real estate, especially if you’re unfamiliar with the tricks and trends of the trade. Contact us today to learn more about the home buying process and schedule a tour in the neighborhood. Once you’ve decided on your dream home, the next step is to buy it. Generally, unless you plan to pay in full, you will need to talk to a lender about getting a home loan, and in doing so, you’ll provide them with your credit score. Your credit score is a statistical number that evaluates a consumer’s creditworthiness and is based on credit history. Real Estate lenders use credit scores to determine the likelihood that a buyer will repay his or her debts, and to determine how much money that person can borrow. 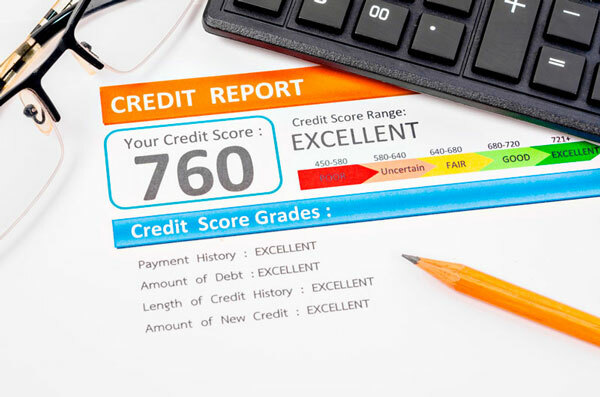 Well, it’s 2019, and credit scores are finally evolving. This coming year it may be a lot easier for you to qualify for a home loan - or any type of loan for that matter - especially if you currently fall within the 500 to 600 FICO score range. Previous to this year most real estate lenders would only grant loans to home buyers with credit scores higher than the 500 to 600 FICO score range. This year there is new type of credit scoring system, called the UltraFICO score. This new system is aimed to help people establish credit based on responsible financial behavior, rather than strictly on credit cards and loans history. According to Forbes, this new score is expected to most benefit the 7 million Americans with a FICO score range between upper 500 and lower 600, which again, is just shy of a lender’s minimum credit threshold. The new scoring system will also benefit the 15 million Americans who have no credit at all. Traditional credit scores are (generally) based on credit card and loan repayment history. UltraFICO scores instead focuses on the consumer’s financial behavior and consistency. It uses information like healthy bank account balances, bill spending patterns, and evidence of consistent savings to determine how much of a risk you are to a lender. This a great news for homebuyers, especially first time homebuyers, who are struggling to establish sufficient credit history. If you are a homebuyer struggling to get a home loan, you should consider opting in to the UltraFICO scoring system, then talking to a bank/lender about your options. Take control of your success this 2019 and broaden your options when it comes to home loans. If you have any questions, don’t hesitate to contact us. We are here to help in any way we can. For more information on real estate in the Clarksville and Saint Bethlehem area be sure to follow us on Facebook. If you’re interested in Clarksville, TN homes for rent check out the latest listings on our rental properties page.